Butterflies All Things New Scarf - 3 Strand Cord Silks - Glowing Silk Flags & Billows based on the Bible, Jesus and His Church, to enhance your worship of God! This scarf comes in size large: 14" x 72", fringed. 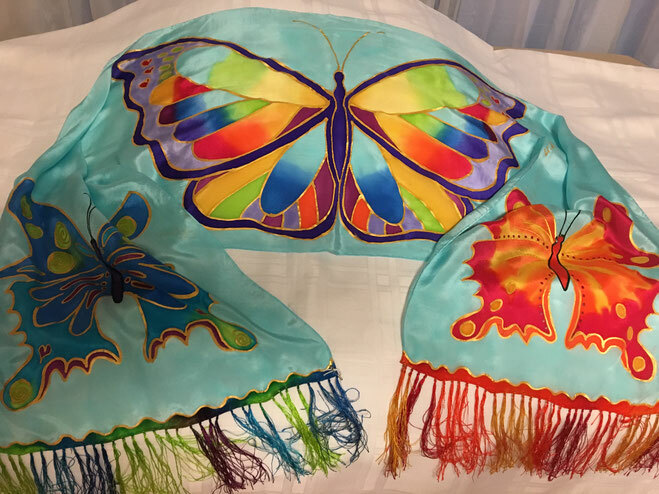 Butterflies All Things Are New Scarf - size large, 14" x 72," fringed.